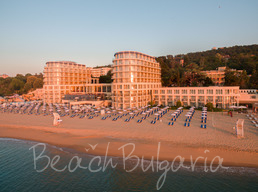 Saint Constantine and Elena offers different hotels, holiday houses and villas dominated by Grand Hotel Varna. Some of the hotels are situated in an old park with cypresses, fig tree and lilies, others near quiet bays with sand beaches and curative mineral water springs. Get information and book online Aqua Azur Hotel, Estreya Residence Hotel, Romance Spa Hotel, Sirius Beach Hotel, Koral Hotel, Splendid Aparthotel, etc. Many hotels are balneology complexes with open-air swimming pools with hot healing mineral water. 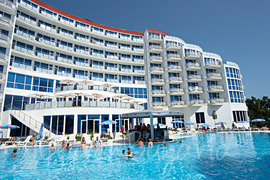 Aqua Azur hotel is located in St. St. Konstantin and Elena resort, a hundred meters away from the beach. The complex proximity to the city of Varna offers good opportunities for business trips. 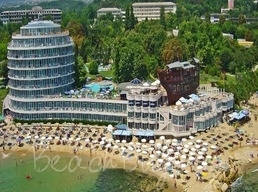 Azalia Hotel & SPA is located on the Northern Black Sea coast in St. St. Constantine and Helena Resort. The hotel features 235 standard and luxurious double rooms with sea view and central air conditioning. 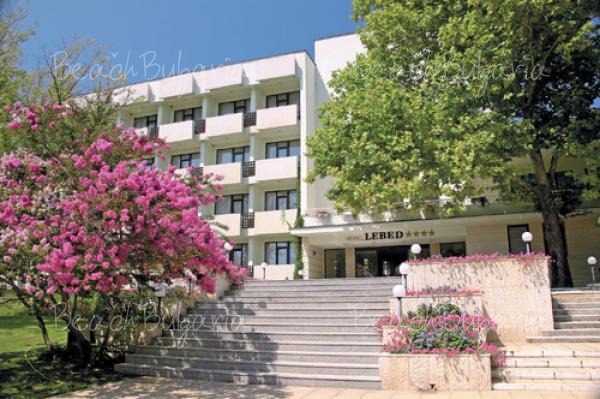 Estreya Palace Hotel is located in the heart of St. Constantine and Elena resort, just 200 m from the beach, 100 m from the bus station, pharmacy, post office, shops and 150 m from a mineral swimming pool. Estreya Residence Hotel is situated right in the heart of St. Constantine and Helena Resort, just 150 m away from the beach. 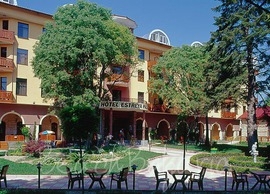 The monastery St. Constantine and Helena is right next to Estreya Spa Hotel. 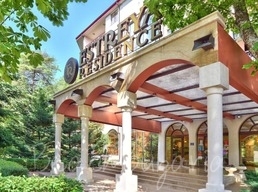 Kristel Hotel is situated in St. Konstantin and Elena resort. The hotel is nestled amidst park, close to the white sandy beach, sea and the center of the resort. Romance spa hotel is situated in the centre of St. St. Constantine and Elena resort, 8 km from Varna, in a natural park with mineral springs, 150 m from the sea coast. 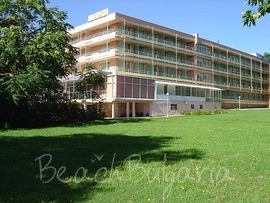 Sirius Beach hotel is located right on the beach of St. Constantine and Elena resort. The hotel offers accommodation in single, double, triple rooms and studios. 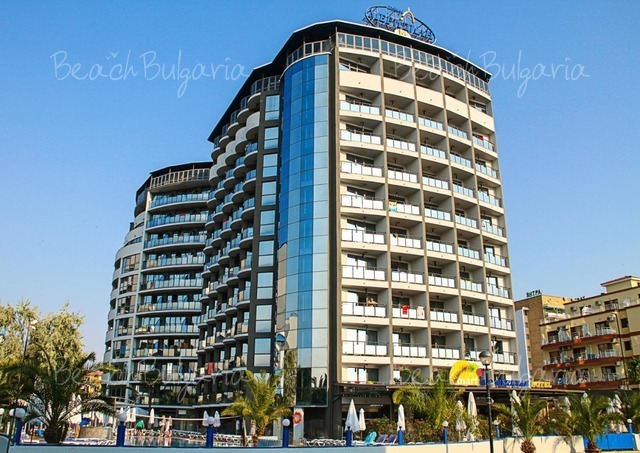 Location: Gloria hotel is located in "St. Constantine" vacation resort, 8 km. away from the city of Varna and 10 km. away from the resort complex Golden sands. 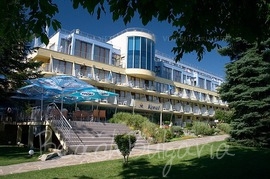 The hotel is situated 300 m away from the seashore, in a beautiful green park. Coral hotel is located in a beautiful natural park in St. St. Constantine and Helena resort, just 8 km from Varna and 500 m from the sea shore. Splendid Aparthotel complex is situated on the third line in St.St. 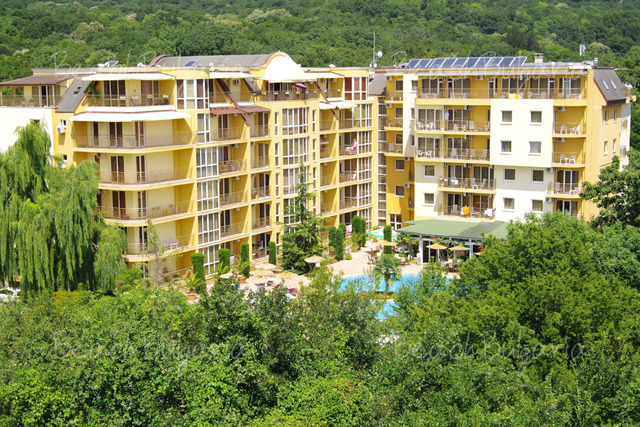 Constantine and Elena Resort, 250 metres away from the coastline, 10 km North from the international airport of Varna.